Is HL1 right for me? Garnier Nutrisse Ultra Color HL1, "Bright Toffee" was specially designed for women with the darkest natural hair who are looking for dramatic lift. 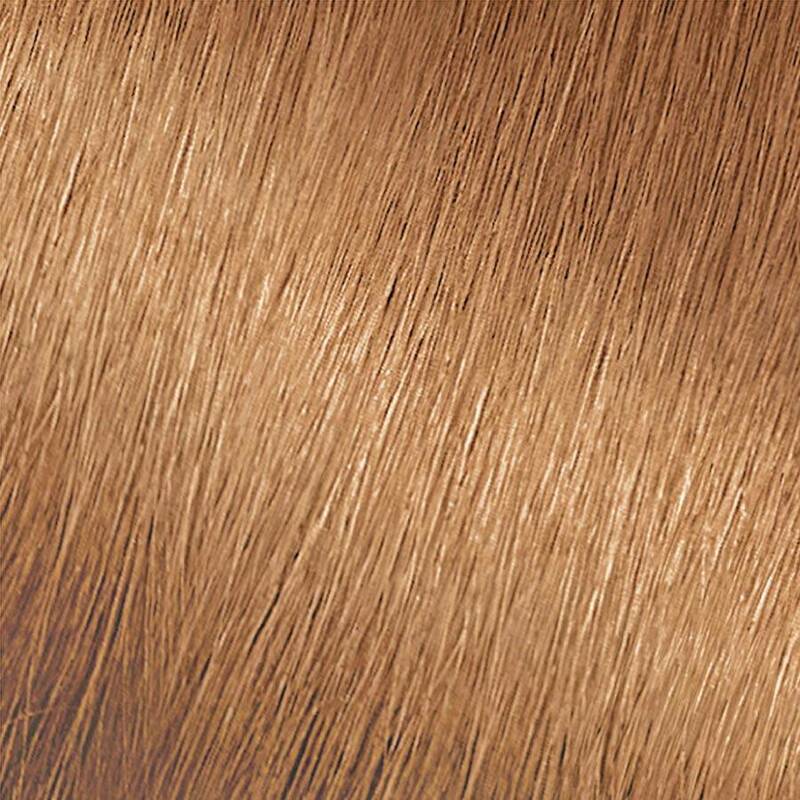 It can lift up to 4 levels without bleach and creates a rich, bronze result. The kit also includes a custom applicator tip to help with all-over application or to help you create special effects. HL1 is for you if you begin with naturally black to medium brown hair. We do not recommend HL1 for bleached, highlighted, or predominantly gray hair, or natural hair lighter than light brown due to the lifting ability of this shade. With the NEW Garnier® Nutrisse® Ultra Color High Lift collection you can achieve an all-over lighter look or create the latest on-trend personalized lightening effects. Ultra Color High Lifts are offered in 3 warm shades: Bright Toffee (HL1), Warm Caramel (HL2), and Golden Honey (HL3), so you can get the best end result based on your natural starting point. Not recommended for bleached, highlighted or predominantly gray hair. The Look: All-over lightening delivering up to 4 levels of lift. Best for: Women who want to lighten hair all over, have never colored hair or have not colored in over 3 months. 1. Apply on dry, detangled, unwashed hair. 2. Make ¼ inch parts through hair and use applicator tip to spread mixture through hair lengths to the ends, avoiding the root area. 3. After you are finished applying, begin timing and follow rinsing instructions in kit. Best for: Women who want to lighten selected pieces up to 4 levels on hair that has not been previously colored. 1. Apply on dry, detangled, unwashed hair and part hair where you typically style. 2. Pick where you would like to color. Pin up hair with non-metallic clip if you would like to color sections in the back to underneath your top layer. 3. Lift the piece of hair you would like to color. 4. While gently squeezing the bottle, brush product through sectioned piece of hair, making sure it is fully coated. Lay the strand down gently and start on a new piece. 5. For the best results, work from side to side of head and leave space between streaks. This will help ensure you have streaks on both sides (front & back) that are evenly spaced. TIP: Be sure not to place the streaks too close together - the result will look solid - space the streaks out so you have light pieces next to natural hair pieces in your end result. 6. Once bottom layer is complete, gently drop another section of hair from the clip while being careful that you do not go into the highlights underneath when combing the hair into place. Then, repeat the application. 7. Continue to drop sections until mixture has been applied to all layers of hair. 8. After you are finished applying, begin timing and follow rinsing instructions in kit. The Look: A shade that’s not blonde or brunette, but somewhere in between. It delivers a little edge to natural brown hair, brightening up your look. Best for: Women who are looking to create a low maintenance flattering on-trend look by adding layers of slightly lighter strands to hair. Applicator: Brush head included or standard applicator tip. 2. Pick where your Bronde look will start near the root area of your hair. 3. Using a non-metallic clip, clip hair up, leaving the bottom layer free. 4. Gently squeeze bottle 2-3 inches from the root area of hair while brushing through desired area making sure hair sections are saturated and close to one another. 5. Once bottom layer is complete, drop another section of hair from the clip while being careful when combing the hair into place that you do not comb into the previous section that has color and repeat brushing through desired area until you reach the top layer. 6. Continue to drop sections until mixture has been applied to all layers of hair. 7. After you are finished applying, begin timing and follow rinsing instructions in kit. The Look: A dramatic coloring effect, the Ombre look is darkest at the roots and then lighter from the mid-lengths to tips. Best for: Women who are looking for a more noticeable color effect by seeking to lighten ends up to 4 levels on hair that does not have color. 2. Pick where your Ombre look will start to customize your look. Note: Typically Ombre starts toward the middle area of the hair strand so you can see the line between darker and lighter hair. 4. Gently squeeze bottle while brushing through desired starting area making sure hair is saturated. 5. Make sure to fully cover tips while adding product at the same level across sections. The goal is to have all lightened pieces be solid with no breaks for contrast and have the darker pieces create a line at the same height, so make sure to color the hair or comb the hair close together to create a solid look. 6. Once bottom layer is complete, drop another section of hair from the clip and repeat brushing through desired area starting at the same point so you can create an even line between colored and uncolored hair. The Look: Sombre is an evolution of an Ombre that gives a more gradual fade between your dark base and light mid-lengths and tips. Best for: Women who want a soft gradation between dark roots and lightened ends with 4 level lift on hair that does not have color, a change that looks so small but makes a big difference, yet does not demand upkeep. 2. Pick where your Sombre look will start along the lengths of your hair. Note: As Sombre is characterized as a more subtle look than Ombre, you can start closer to your roots in the upper area of hair. 4. Gently squeeze bottle while brushing through desired area making sure strands are not too close to one another. 5. To create the gradation, as you drop your layers, make sure some face framing pieces start closer to the root area. 6. Once bottom layer is complete, gently drop another section of hair from the clip while being careful as you comb the hair into place before application. Then, repeat brushing through desired area leaving spaces in between for added dimension. The Look: The natural highlights that we all had as children. The selected pieces are very fine and not as apparent as traditional highlights/streaks. Best for: Women who want to lighten selected pieces up to 4 levels on hair that does not have color. 2. Pick where you would like to color keeping in mind the starting point should vary. Pin up hair with non-metallic clip if you would like to color sections in the back to underneath your top layer. 3. Lift the piece of hair you would like to color, paying close attention to the thickness of pieces ensuring they are fine. 4. While gently squeezing the bottle, apply the product through sectioned pieces of hair with the applicator tip, making sure it is fully coated. Lay the strand down gently and start on a new piece. 6. Once bottom layer is complete, gently drop another section of hair from the clip and repeat application. Be careful to not comb into the previous baby lights. The Look: Sun kissed natural-looking colored hair that combines High Lights with Ombre. Best for: Women who are looking to create a soft yet noticeable difference that is natural-looking with minimal regrowth lines to avoid regular maintenance. Applicator: Brush head included and standard applicator tip. 2. Using a non-metallic clip, section your hair and pin up leaving the bottom layer free. 3. First, for this bottom layer only, decide where your Ombre will start. 4. Gently squeeze the bottle while brushing through the midsection of hair. TIP: Make sure to fully cover tips and keep colored sections close together while adding product at the same level across sections. 5. 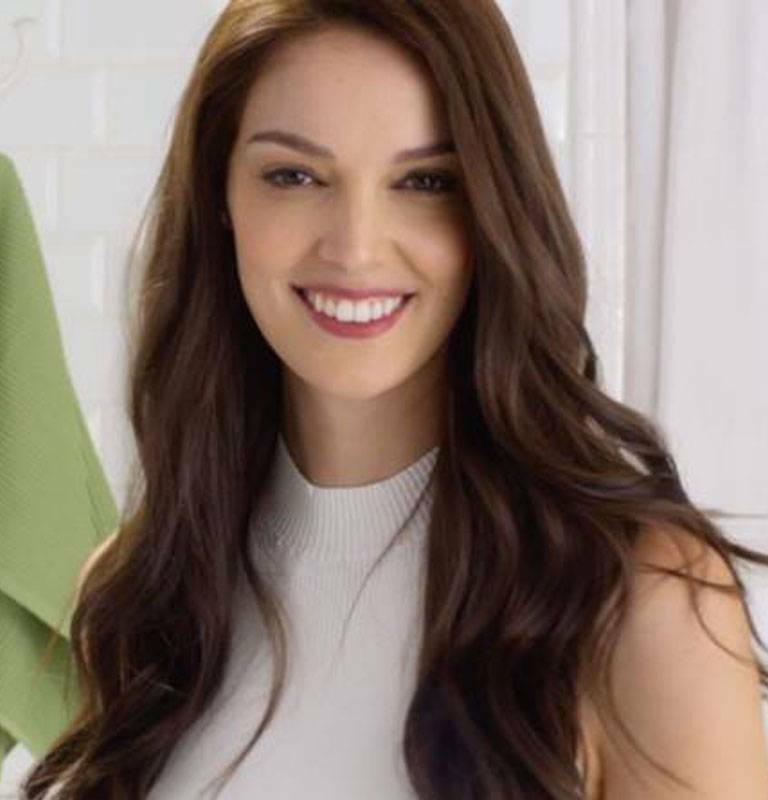 For the remaining layers of hair, you are going to add Highlights by brushing through desired strands from the root area to the tips of your hair. 6. For the best results, work from side to side of head and leave space between strands. This will help make sure you have strands on both sides that are evenly spaced. The Look: Also known as tortoiseshell; a softer brunette variation. Best for: Women who are seeking to create a multi-dimensional look by adding more nuanced and diverse colors to hair. 2. Using a non-metallic clip, clip hair up, leaving the bottom layer free. 3. First, for this bottom layer only, decide where your Ombre will start. 4. Gently squeeze the bottle of your Nutrisse® shade of choice, while applying through the midsection of hair. Make sure to fully cover tips and keep colored sections close together while adding product at the same level across sections. 5. For the remaining layers of hair, you are going to add Streaks with both your Nutrisse® shade of choice and High Lift shade alternating shades between strands (i.e. High Lift shade, then Nutrisse shade, after High Lift shade, etc.). TIP: Be sure not to place the streaks too close together - the result will look solid. For the best results, apply color mixture through desired strands from the root area to the tips of your hair while working from side to side of head. This will help make sure you have strands on both sides that are evenly spaced. 6. After you are finished applying, begin timing and follow rinsing instructions in kit. Olive Oil, which contains antioxidants, has been a high-performance beauty elixir for centuries. In hair care formulas it helps coat hair, leaving strands strong, glossy, and resilient. In face moisturizers, it soothes as it smoothes for glowing skin. Rated 4 out of 5 by KayeLis from Bright Toffee I purchased the product by accident about a year ago....the first time it didnt change my hair because my natural color is coal black and I didnt leave it on long enough. I tried it again because the is very cute after the 2nd try OMGoodness the color came out great. It complements my skin and actually brought out a different hue in my skin. I get so many complements on how the color looks good on me. It is getting difficult to find the color in my area now, I'm not sure why. The only downside is ...it does not color over my gray for long maybe a couple of days and that's it. Rated 3 out of 5 by LadyM from Subtle, but might be my technique My hair is fine, wavy, very dark brown, and I have some grays. I wasn't going for full coverage. More a simple change. I gave myself a partial balayage (top layer only; brush strokes; left the roots). I painted some on each section, wrapped in foil, then left for 20 minutes. For the last 10, I went back in and did a little more for varying shades. It was a very subtle change, showing only in the light, but it's a pretty toffee color. I want to shift it into a rose brown, but don't think this is a light enough base to add reds. I wouldn't want to darken what I did, and my hair is no longer virgin, making it too unpredictable right now. I'll likely keep it as is, since I was going for a less crazy change anyway. Rated 3 out of 5 by catclaw12 from Not bad but could be better I distributed the dye through the length & ends of my hair first, & then later to my roots but my roots still came out very much lighter than the length of my hair despite not having any previous dye on my hair. Would I still be able to apply more of this same dye to the length & ends to get a lighter color?? Other than that color is nice. Rated 1 out of 5 by Destinyjewell1313 from Bad I had to color oops this out of my hair. It darkened my hair. Don’t know how or why that happened but it did. My hair had no dye on it when it darkened it. But it took my medium brown hair to a darkest brown shade. Won’t be buying from this brand again even though it’s usually my go to. Rated 5 out of 5 by Lizabeth505 from Great blending shade I have dark brown hair that is starting to grey. I get gold highlights every three months to blend them in. I use this color every six weeks and have never gotten so many compliments on my color. It also refreshes my high lights which saves me time and money! Rated 1 out of 5 by MarilynEmm from WASTE OF MONEY I brought this product today hoping for a new color. My hair was dyed black so I did as it said on the paper. Waited my time then when time to wash off I did. Then as I seen the color was only bright on the roots and not the whole hair! I have two color! Very disappointing! I've used the Ultra Color Red & Black and never had a problem till now!